I share two tenuous connections to Dennis Minty. For one, he was born in Twillingate, where I lived as a child. Then, his current hometown is Clarke’s Beach, where I was born and where I was employed as museum director with the town this summer. There the personal connections end. Minty is a celebrated photographer, while I take snaps if and when I manage to operate my daughter’s camera. Photography has been Minty’s passion ever since he was given a Brownie camera at age twelve. His forte is nature-based photography. However, he was fifty before he turned his adolescent hobby into a living. His first book of Newfoundland images was Wildland Visions, published by Breakwater Books in 1993. His most recent book is Newfoundland: An Island Apart. The island informs both his photography and his life. His perennial quest has been to seek out “the island’s gems and the light that washes over them.” He has learned the light and seen the landscape’s virility. Newfoundland: An Island Apart is a celebration in images of what this place means to him. What does Minty hope to impart to his viewers? The photographs in Newfoundland: An Island Apart reflect a wife range of themes, from the provincial flower, a pitcher plant, to the sea crashing against the Mad Rock off the coastline of The Shoreline Heritage Trail near my hometown, Bay Roberts; from an evening of peace and tranquility in Durrell to the scenic town of Trinity; from a man following his horse on a chilly winter morning in Carbonear to The Arches of the Great Northern Peninsula. There are more than sixty images, a veritable visual treat for the artistically weary. 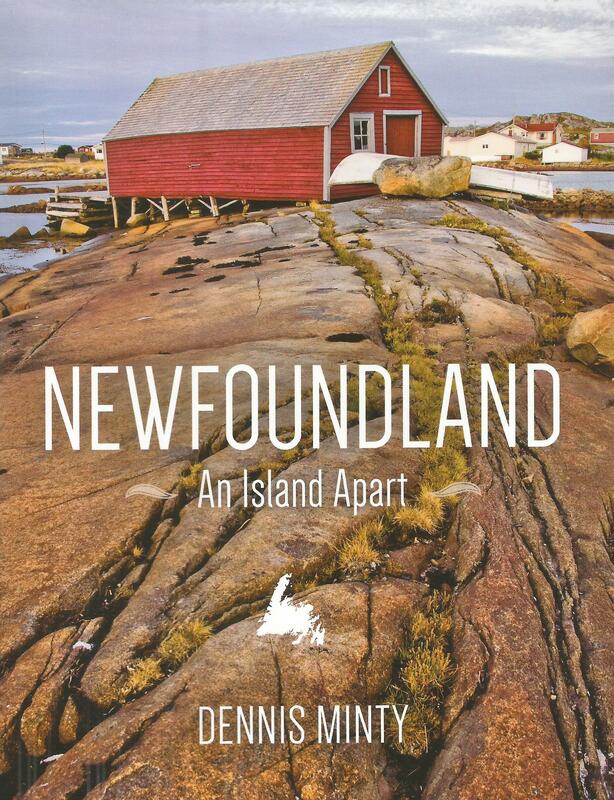 Newfoundland: An Island Apart is published by Breakwater Books and retails for $18.95. The ISBN is 978-1-55081-600-6. I have just ordered his book for a forthcoming trip to Newfoundland which I am very much looking forward to, and hoping I can return with even a couple of photographs that do it justice.